When it comes to eyeshadow most people seem to reach for neutrals palettes rather than opting for something a little brighter and bolder. I am guilty of sticking to safer shades but every now and then I do like to add a pop of colour here and there. 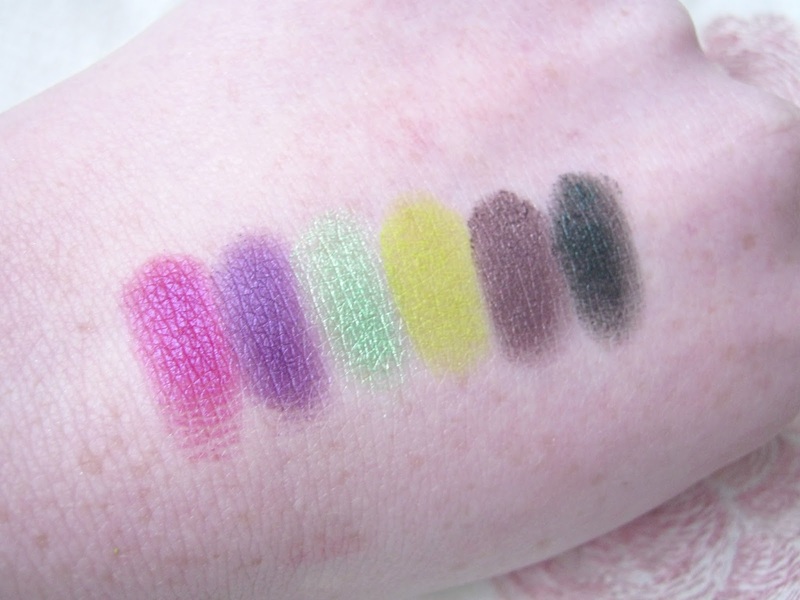 When it comes to buying brighter shades that I'll be using less often I don't want too spend much so I'm really happy to see that Makeup Revolution have bought out this bargain palette, perfect for people who want to create big looks on a small budget. 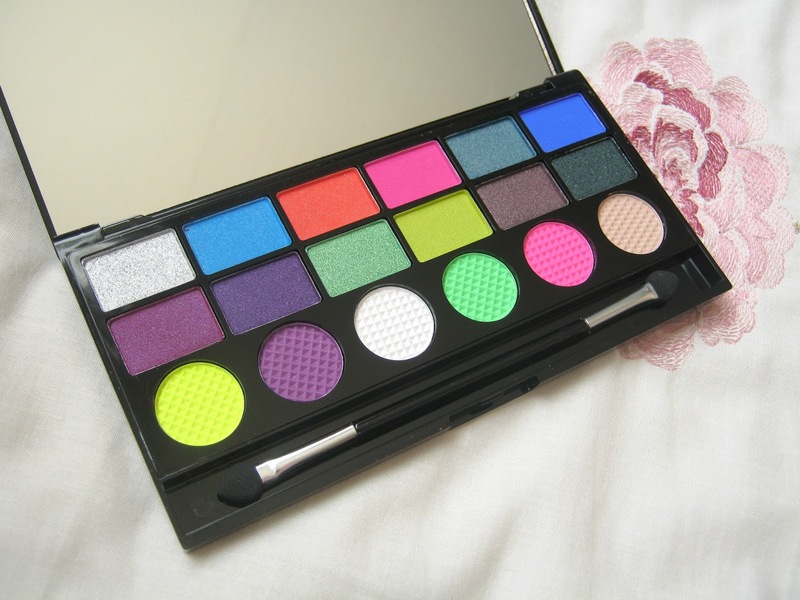 This is the brightest eyeshadow palette that Makeup Revolution have brought out, it contains 18 eyeshadows which all stand out whilst being easy to work with. 12 of the shades are shimmer and 6 are matte so there is some variety in there for those who enjoy using different finishes. 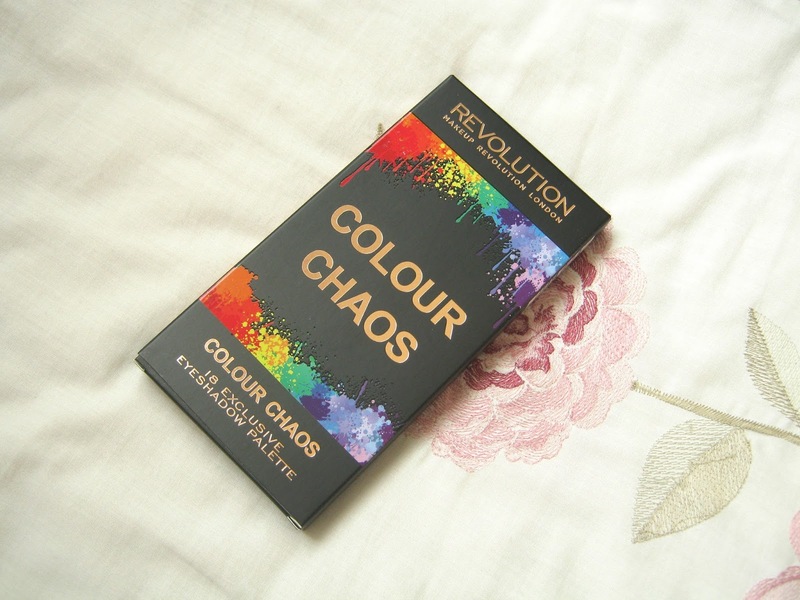 Makeup Revolution have offered a cheaper alternative to palettes like Urban Decay's Electric Palette which will leave your purse feeling very light. I'm really happy to see that there are lots of dupes available for higher end products these days as not everyone has £30+ to spend on eyeshadow! The first two rows in the palette are made up of 12 shimmer eyeshadows that are packed with colour, they are impressively pigmented. 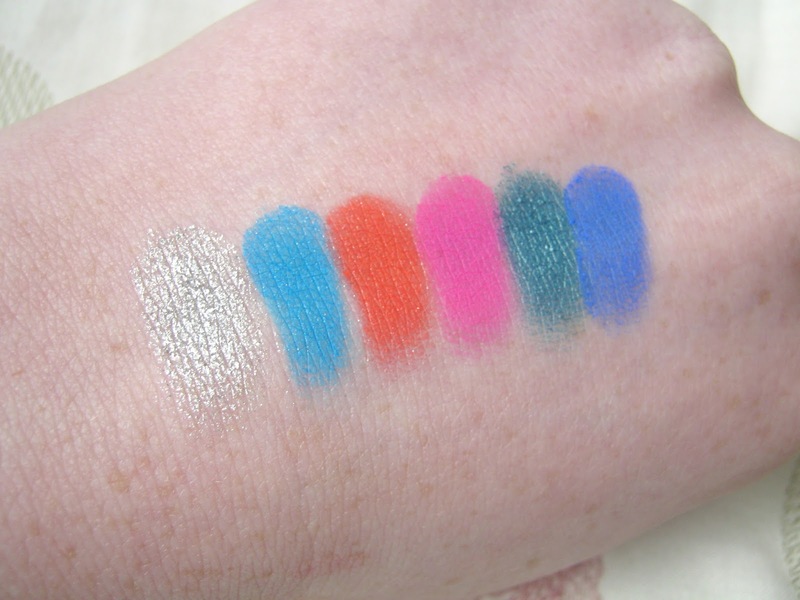 I especially love the two bold blue shades, I've been liking using them as eyeliners to add a little extra something to my makeup looks. 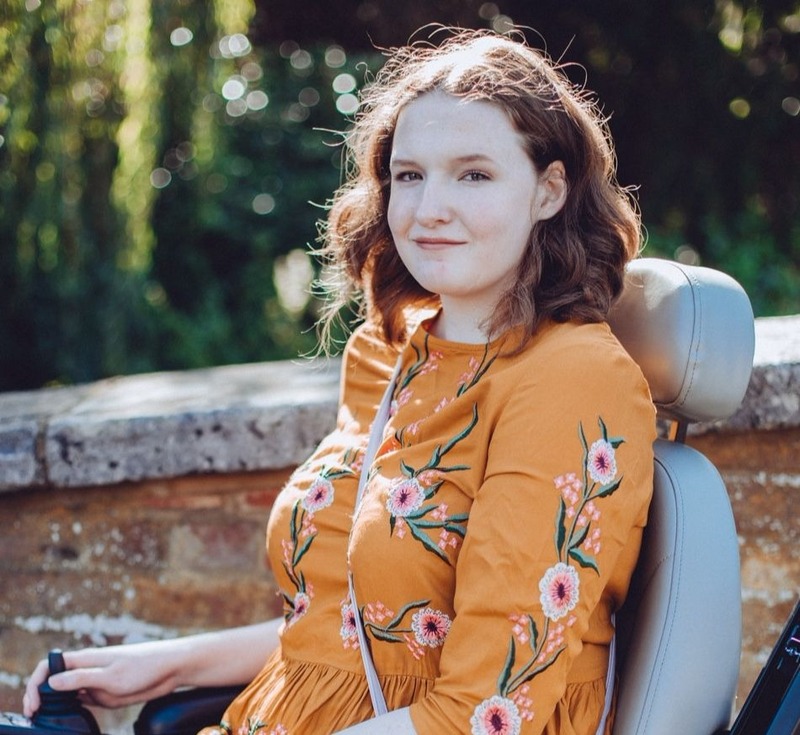 The colours are bright but that doesn't mean that they are just meant for Summer, the darker purples and green shades will be perfect for Autumn and Winter, especially for some smokey looks. I found that with a primer they lasted all day, they did start to fade a bit in the afternoon but they are so bright to begin with that a bit of fading doesn't matter that much. They are really easy to work with as well, they blended well and I really couldn't find any major faults with the first 12 shades. Unfortunately the 6 matte shades in the palette are a little disappointing, as you can see by the swatches they aren't as pigmented as the shimmer shades. 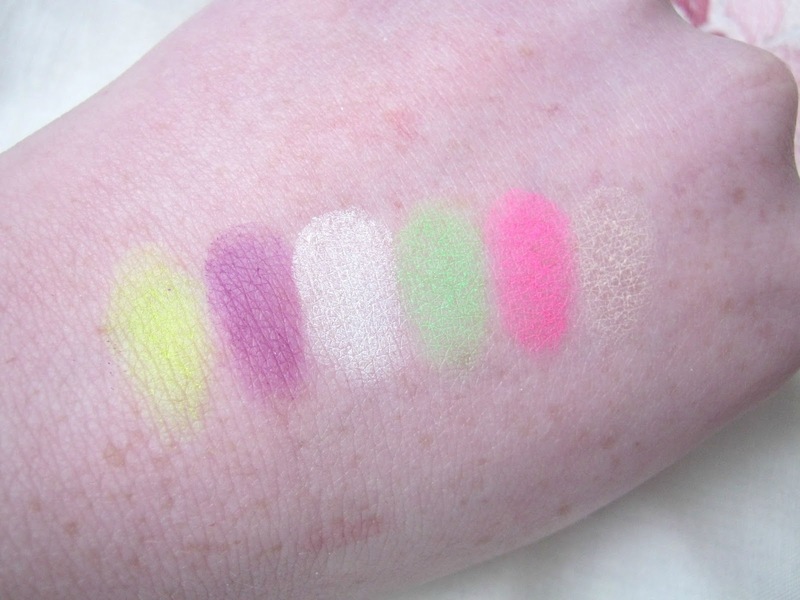 Not only are they disappointing when swatched but the lack of pigmentation means you need to build them up a lot when using them on you eyelids. I found them quite difficult to work with because of this so I've been hardly touching them, I much prefer the shimmer shades. The matte shades in this palette do let it down a bit but you still have 12 amazing colours to pick from in the palette without them so I can't fault it that much. If you are looking to introduce a bit more colour into your life then definitely try this, for only £6 you can't really go wrong! Do you like adding a pop of colour to your eye makeup or would you rather keep it neutral? Super vibrant shades, love the look of this palette! ooh, I've already spied this instore. It would lovely to experiment with!